‘Overweight’ is one of the most popular problems faced by many people these days. And, in order to lose weight, people spend stressful nights, do vigorous exercises and even go on a crash diet. Luckily, acupressure does an amazing job. There are some very effective acupressure points for weight loss. By just applying little pressure on these energy meridian points, one can easily expel the excess body heat and moisture. And, as a result, people who practice these acupuncture/acupressure therapy regularly will see an improvement in their metabolism and digestive system, which leads to loss of excess body fat. This pressure point enhances the digestive system and boosts the strength of your body. It is also the best acupressure point for constipation. Irregular bowel movements is another important reason why people put on excess weight. You can find this point just 3 centimeters exactly below the belly button. Place two fingers on this point and massage the area by scrolling up and down. Then, press & hold this point for minimum 2 minutes two times a day, every day without fail. 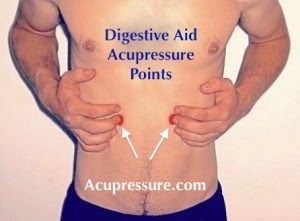 This weight loss pressure point helps get rid of indigestion, reduces appetite, relieves you from ulcers and rib pain. You can locate this point near the end of the rib cage, right in line with the ear lobe, under the last rib. Curve your fingers and stimulate this point for at least 4 to 5 minutes every day to get the best results. Want to control your appetite? Then, this acupressure point works excellent. 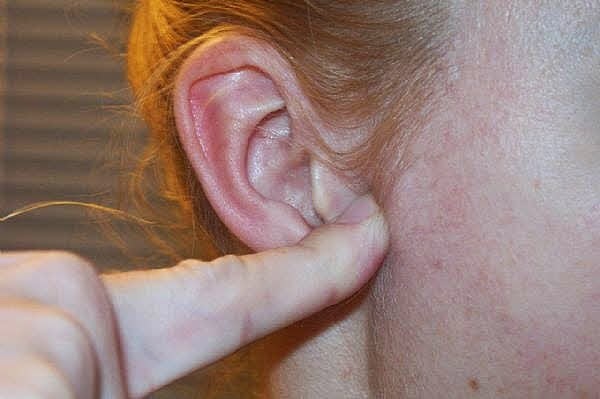 Just place your thumb against the jaw of your ear and move it up and down. While doing so, you’ll find maximum movement and that is your exact point. Once you found it, simply press the point for at least a minute or two. Do it twice every day or whenever you feel hungry even after eating, for best weight loss results. This knee pressure point helps in improving your digestive system, nourishes the blood and boosts your metabolism. You can find this point just 2 inches below the kneecap on the outer side of your leg. Hold this point with your forefinger and flex your foot up and down until you feel the muscle moving under your finger. Once you found it, stimulate the point by holding it for 2 minutes. Do this every day to see noticeable changes in your body. Stimulating this point helps in removing excess heat and waste moisture from your body, thereby improving the function of the intestine. You can find this point on the inner side of the elbow crease towards the end. Press and hold this point using your thumb for 1 minute every day for best results. Stimulating this acupressure point helps strengthen your digestive system and the spleen. 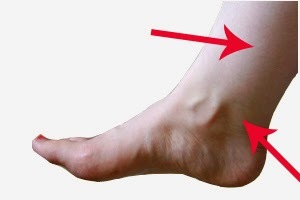 You can locate this point on the inner side of the leg, just off the bone and 2 inches above your ankle. Apply pressure on this point using your thumb/knuckle for a minute and release slowly. Do it twice a day for best weight loss results. That’s all friends! The above acupressure points for weight loss are very effective, if followed without fail. They work by improving the digestive system, decreasing stressful eating and balancing the appetite. When all these are in check, you’ll obviously become healthy and lose weight naturally.